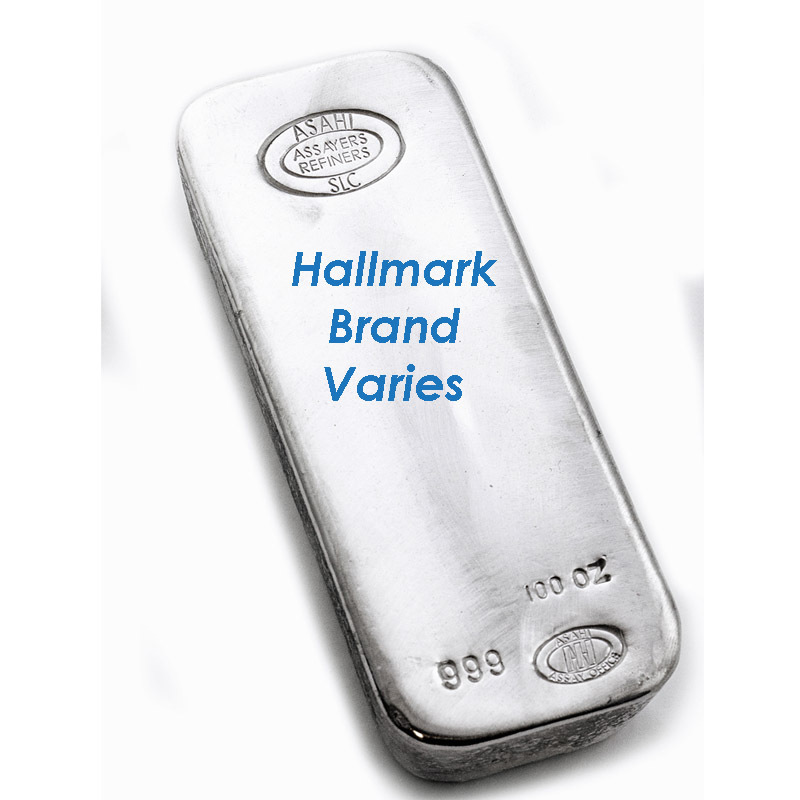 Hallmark Brand of our choice. 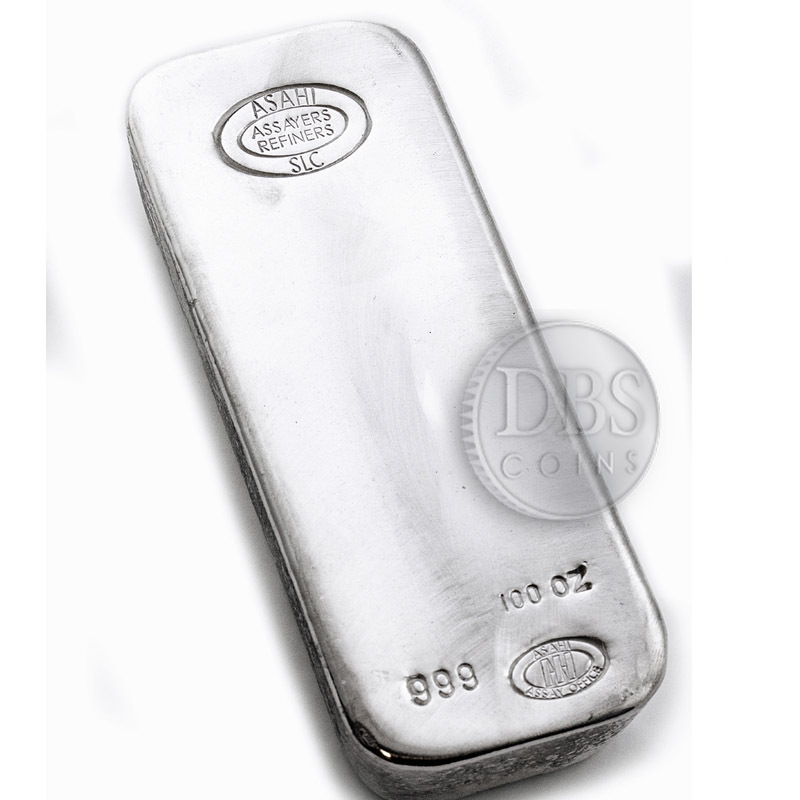 At DBS we offer pure .999 fine silver 100 oz Silver Bars. 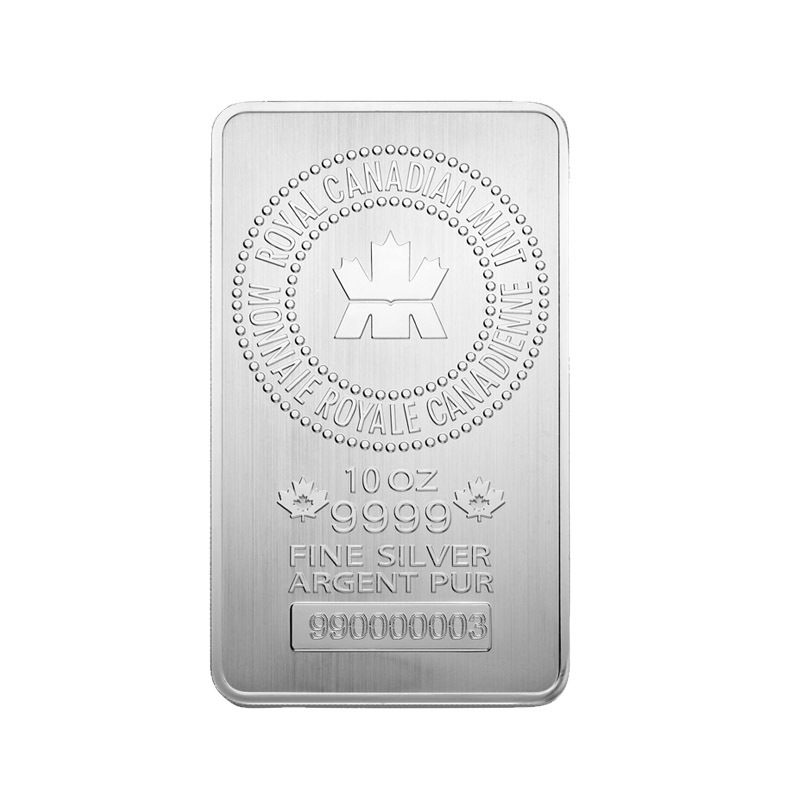 Each Bullion bar contains 100 oz of .999 fine silver. 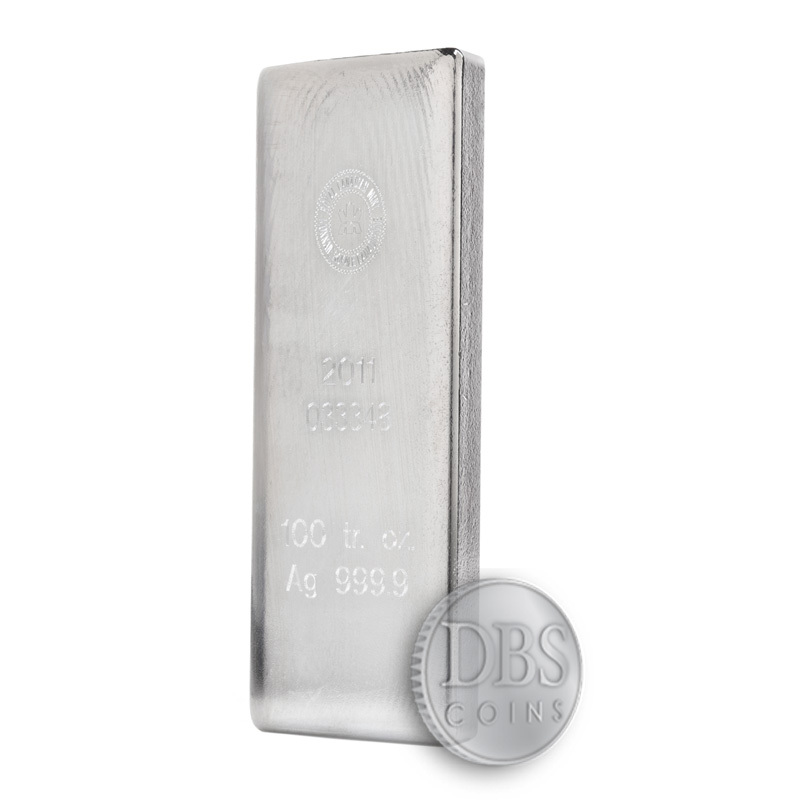 Each Bar is minted with the purity and weight. 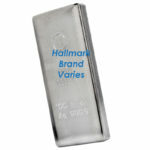 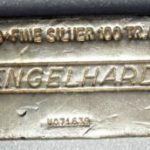 Some of the bargain bars are Johnson Matthey, Engelhard, Asahi, RCM, Perth, OPM, NTR, Sunshine and generic mints. 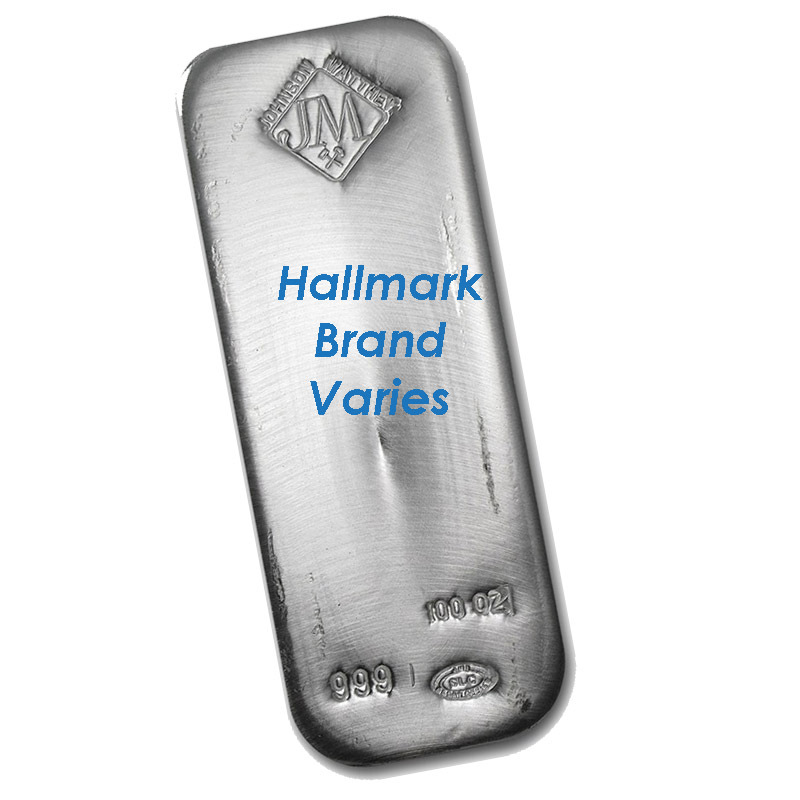 All Bars are in good shape and minted with the purity and weight on each bar. Bars are sometimes perfect and sometimes have small dings, scratches or spots. Bars with be shipped based on availability.